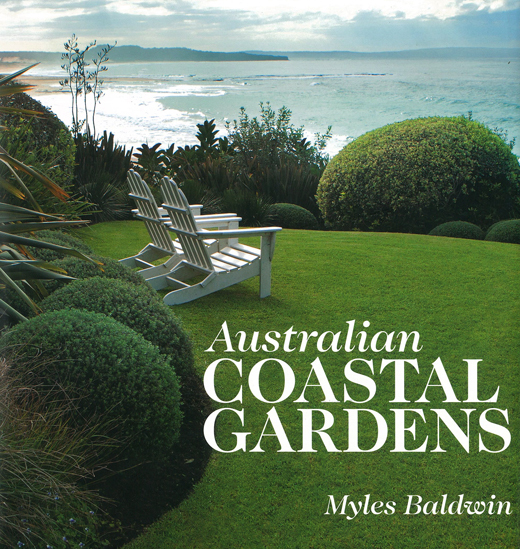 One of the latest gardening books to hit the stands is Myles Baldwin’s ‘Australian Coastal Gardens’ featuring Rick’s Flinders property. 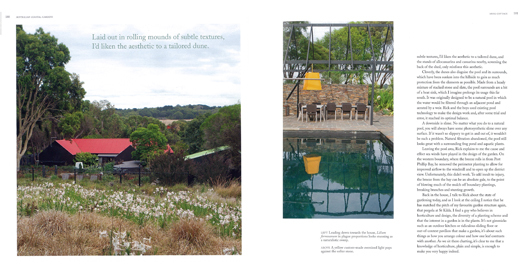 The book explores gardens near the sea from ‘from the gentle landscape of Victoria’s Mornington Peninsula and the sheer cliffs of Sydney’s Dover Heights to an old copper mining town in South Australia and beyond’. 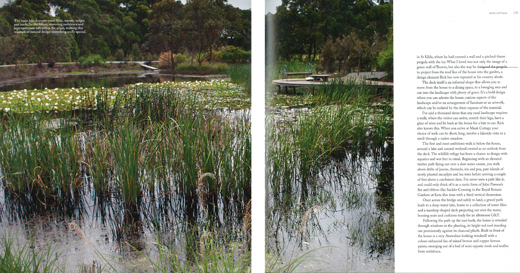 …Once inside the property, it’s a different story and, like all good gardens, the true greatness of the display is revealed piece by piece in a journey of exploration. 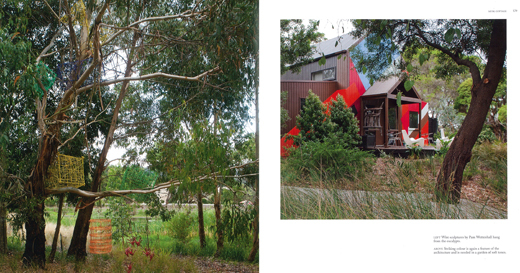 It’s not until you arrive at the red-roofed house on a grey gravel hardstand trimmed in an angular cut bluestone boarder that you release this will be a great day in a very interesting landscape. 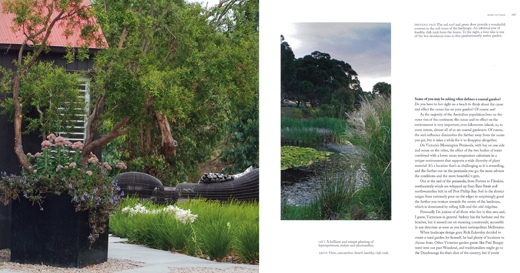 A leader of style in the world of Australian landscape design and horticulture, Rick Eckersley sets the trend for the way we see a ‘cool garden’. While many were tinkering with iceberg roses and gardenias in the eighties and nineties, Rick was using contrasting colour and plants with architectural form. 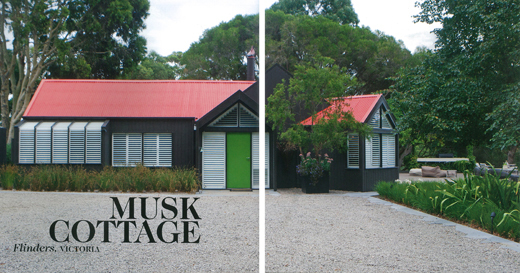 He delivered an ‘outdoor room’ before the term was a Friday night favourite on Blitz My Makeover. Designed by Rick and his business partners Myles Broad and Scott Leung, the property is as much a personal space for relaxation as it is an experiment into the development of their design abilities and environmental awareness. 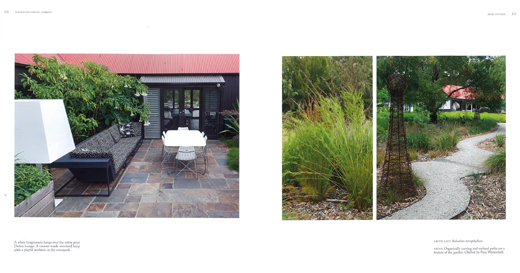 Here, the idea is for the garden to embrace nature and natural selection, and work with the environment it’s in rather than try to alter it. As we sit there chatting, it’s clear to me that a knowledge of horticulture, plain and simple, is enough to make you very happy indeed. I haven’t worked on anywhere near as many coastal gardens as I would have liked, but this post has given me some true inspiration. 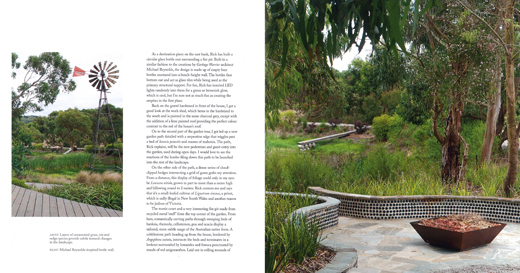 I love how, in all of the images, there is a rural/native touch to the garden that many coastal properties lack. 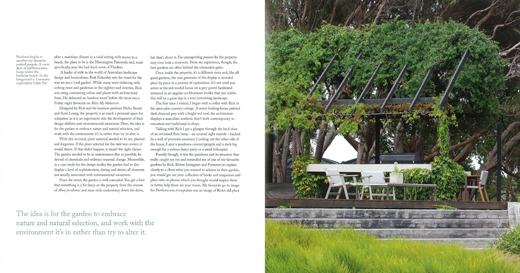 The pergola area is also quite lovely looking with those established vines – beautiful!